XP ends 8 April 2014? 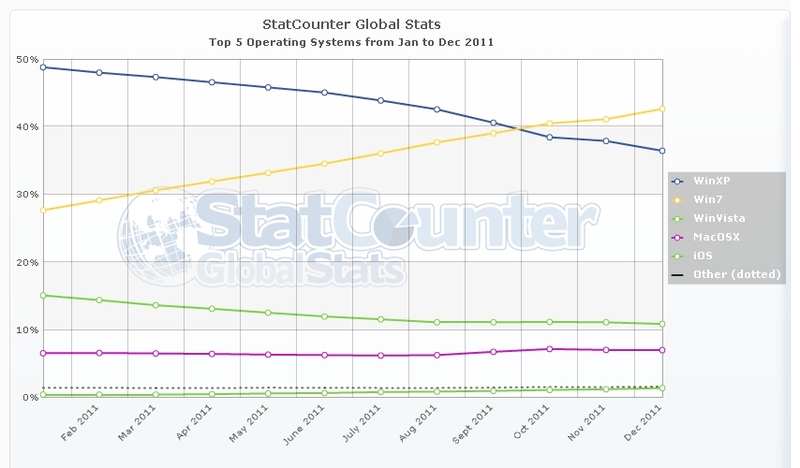 April 8, 2014, Microsoft is planned to stop supporting Windows XP, you will never get any update or support any more from the date and Microsoft has suggested to his latest version, Windows 8 but do you think will Windows XP end? 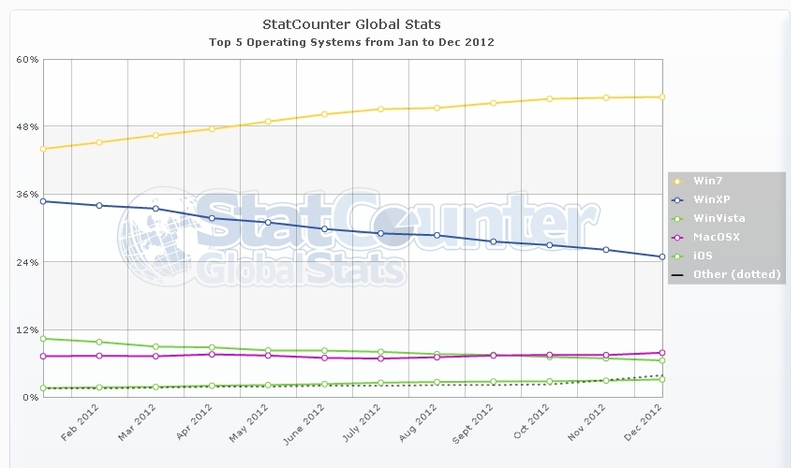 Last year from January to December 2011, statcounter indicated that Windows XP stayed top with 43.63% and from mid of September 2011 started to fall to second running OS, at December 2011, it stayed 2nd at 36.44%. 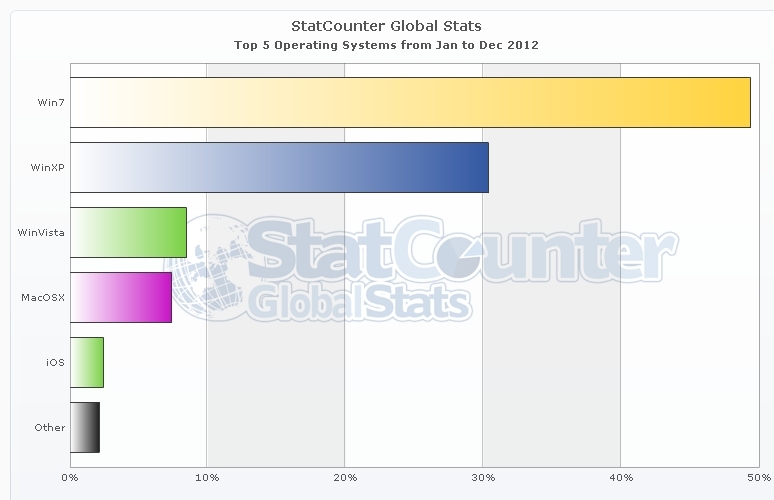 In 2012, Windows XP still stays 2nd running OS around the world which is around 10% down from last year, it has now in December with 24.97% and in Cambodia, there is 24% PC running this OS. 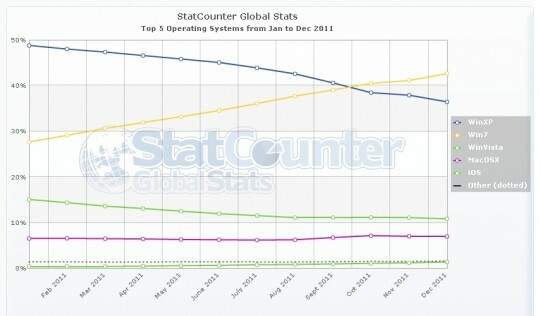 Let’s see, will Windows 8 beat XP before it ends or not? But I do believe most businesses will consider to upgrade to Windows 7 since it is more stable and more applications support and compatible, I feel a bit afraid to upgrade to Windows 8 at this recent age as well. How about you? 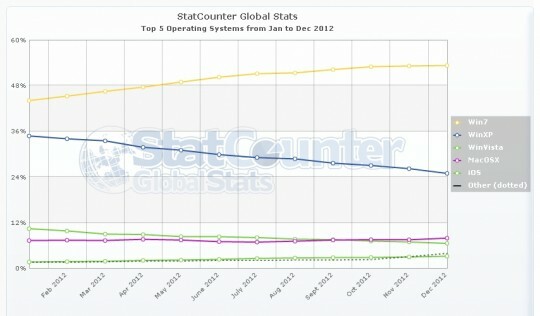 If you are a XP user, will you consider to upgrade it now?